As a young woman, Roseanne McNulty was one of the most beautiful and beguiling girls in County Sligo, Ireland. Now, as her hundredth year draws near, she is a patient at Roscommon Regional Mental Hospital, and she decides to record the events of her life. As Roseanne revisits her past, hiding the manuscript beneath the floorboards in her bedroom, she learns that Roscommon Hospital will be closed in a few months and that her caregiver, Dr. Grene, has been asked to evaluate the patients and decide if they can return to society. Roseanne is of particular interest to Dr. Grene, and as he researches her case he discovers a document written by a local priest that tells a very different story of Roseanne's life than what she recalls. As doctor and patient attempt to understand each other, they begin to uncover long-buried secrets about themselves. Set against an Ireland besieged by conflict, The Secret Scripture is an epic story of love, betrayal, and unavoidable tragedy, and a vivid reminder of the stranglehold that the Catholic Church had on individual lives for much of the twentieth century. "Written in captivating, lyrical prose, Barry's novel is both a sparkling literary puzzle and a stark cautionary tale of corrupted power." - Publishers Weekly. 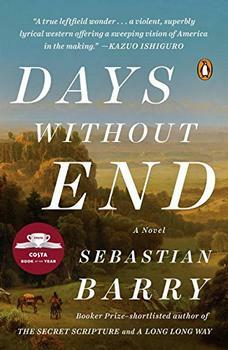 "Barry beautifully braids together the convoluted threads of his narrative." - Kirkus Reviews. "A few chapters in, it becomes clear that we are in bestseller territory, as lurid melodrama is piled on lurid melodrama, improbable coincidence on improbable coincidence, while important plot shifts are obscured by passages of excited purple prose." - The Times (UK). "Nine times out of 10, novels featuring psychiatrists are stodgy and unconvincing, but The Secret Scripture is the exception that proves the rule. The ending, alas, teeters on the verge of melodrama, but there is so much good writing in the preceding chapters that one readily forgives the author." - Daily Telegraph (UK). The information about The Secret Scripture shown above was first featured in "The BookBrowse Review" - BookBrowse's online-magazine that keeps our members abreast of notable and high-profile books publishing in the coming weeks. In most cases, the reviews are necessarily limited to those that were available to us ahead of publication. If you are the publisher or author of this book and feel that the reviews shown do not properly reflect the range of media opinion now available, please send us a message with the mainstream media reviews that you would like to see added. The Secret Scripture is the seventh stand-alone novel by Irish author, Sebastian Barry. Against the background of the imminent closure of an Irish mental facility, an aging psychiatrist reviews his remaining patients for suitability to re-enter the community at large. Dr William Grene, Senior Pyschiatrist at Roscommon Regional Mental Hospital, is particularly concerned about hundred-year-old Roseanne McNulty, suspecting that her sectioning some sixty-plus years ago, like many others of that era, may have been based on social convenience rather than psychiatric need. Barry sets up his story as twin narrations: “Dr Grene’s Commonplace Book” is meant to contain a professional account of the last days of the hospital, but Will includes his personal observations about Roseanne McNulty and the results of his investigations into her admission as well as events, past and present, in his own life; “Roseanne’s Testimony of Herself” is a secret memoir that Roseanne writes and keeps hidden, detailing events in her life leading up to her sectioning, along with present day happenings. This novel has a marvelous cast of characters, credible dialogue and a brilliant plot. Astute readers will have twigged to the who and what of the mystery half-way through the novel, but this in no way reduces the enjoyment or the compulsion to continue reading Barry’s beautiful prose for the how and why. Barry touches on many topics including the chequered history of mental institutions, the Irish Civil War, the power of the Catholic Church in 20th century Ireland and whether there is such a thing as factual truth (or does it all depend on the accuracy of a person’s memory?). This was a great read and I will be looking for the companion works to this one that Barry has written: The Whereabouts of Eneas McNulty, and Our Lady of Sligo. This story is so richly told, it rivals any of my favorites (James Lee Burke for one). The untangling of the stories, the parallel yet disjointed dual versions of Rose's story carry you along effortlessly. Such a a talent, to describe with word both objects, people and places, but Barry has the rare talent to describe times and impart emotions like no other I've read. This story is a treasure, a gift to the reader who wants to be carried along on a journey with Rose Cler and everyone who touched her fragile life. The Sacred Scripture is the autobiography of a woman nearing 100 years old, who has spent most of her life in an insane asylum in the Irish countryside. She recounts her memories of the harrowing years of her youth, full of tragedy and betrayal. At the same time we meet the head psychiatrist of the institution in which she has resided for decades. He must evaluate her condition to see if she can be reenter the "real" world. He visits her repeatedly and uncovers the official accounts of her past which are at odds with the memories she has shared with him. Which account is real, and which imagined? Only the reader is privy to both complete accounts. This beautifully written book explores the mysteries of memory, and the fragility and resiliency of the human mind and spirit. When I finished it, I wanted to start it all over again.